Two joyriders who took this car fled the scene after crashing it into a wall at Pottery Gardens, Lancaster. Teenage joyriders who smashed a car into a wall fled the scene before being arrested. Police were called at 1.30am today, Friday to reports that a car had gone into a wall at Pottery Gardens, Lancaster. A silver Ford Focus had smashed into the wall and the occupants fled the scene. Two teenagers were arrested at a house nearby. A 17-year-old boy from Lancaster, the driver of the vehicle, was arrested on suspicion of drink driving and aggravated vehicle taking. 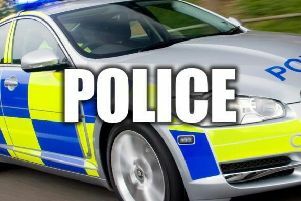 A 16-year-old boy was arrested on suspicion of aggravated vehicle taking. No-one was believed to have been injured in the smash. Both teenagers have now been released without charge and no further action will be taken by police.